Basic Skincare Routine for all skin types. What is the largest organ in the human body? Did you say ‘skin’? Yeah you got it right. (If you said ‘liver’, it’s the second largest. And the largest internal organ!) And is it not necessary to take care of your skin? Today I will be sharing a few simple, easy steps you can do to have good skin throughout your life. Cleansing your skin twice is very important. Once, after you get up in morning. Reason? Cause your skin produces unwanted oils thoughout the night, which you want to get rid of in the morning. Secondly, before doing your night skincare routine. You wanna start with a fresh & clean face of course. You can double cleanse too if you want. Different types of cleanser like — gel, foam, creme are available. Choose according to your skin type. Also Read: Nivea Micellar Cleansing Water – Review, India. Scrubbing and exfoliating are two things that are important. DIY scrubs, readymade scrubs available in the market, or face wash scrub should be used twice or thrice in a week, depending on your skin. Chemical exfoliants can be used too. Scrubbing removes your dead skin and is very helpful when you want your makeup to sit on your skin properly. 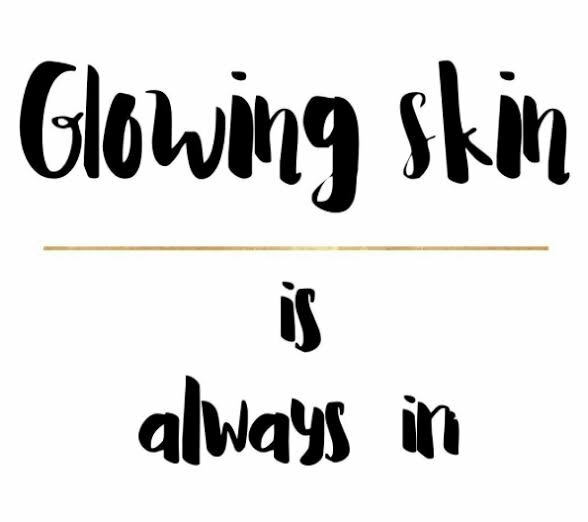 Also for that glowing skin! Right after cleaning your face, comes toning. Toner basically preps your skin to take up the moisturizer more efficiently. Imagine applying thick coat of moisturizer to a dry sponge and a wet sponge. Which one takes up the moisturizer quickly? The wet sponge right? The wet sponge is your skin with toner. There are different toners targeting – dry skin, oily skin, acne and pimples, wrinkles etc. Also Read : Plum grape seed and sea buckthorn face mist –Review. Also Read : Glamaroma Rose Gold Facial Glow Mist – Review. People often ask me this question, ‘Is moisturizer for oily skin is essential?’ Yes it is, if you don’t apply moisturizer, you make your skin think that it needs to produce more oil, hence more oil production for oily skinned people. As for other skin types, there are so many good moisturizers out there in the market. Whichever suits you! All your skincare goes to vain if you don’t use one thing! Yes, sunscreen. It’s that important. Sunlight exposure can worsen your acne, pimples. It can cause premature wrinkles, signs of ageing, sunspots, age spots, and all 100 other things you don’t want. All of us want to age gracefully, don’t we? Wear a sunscreen even when you are at home. All day, everyday. There are different ones again – matte, gel, cream, moisturizing! Keep calm and put a face pack. 😂 Like seriously, homemade facepacks are the best. Cheap, readily affordable, nearly no side effect. Or if you want to, get a face pack which works for you. There are tons available in the market right now. Masking twice to thrice a week is more than enough. If you are lazy AF, try to do every Sunday at least. Also Read :Jeva Activated Charcoal Face Pack With Argan oil – Review. That was all for this post. Hope it helps you, specially if you are a teenager. I will be posting soon about skincare for people who are above 30. And if you want detailed posts about these above steps, do comment and let me know! Previous Glamaroma Beauty – Coconut Vanilla Ultra Hydrating Face and Body Moisturizer, Review. Next Miss claire soft matte lip cream (01,08,09,45,50,55,58,62) — Review and Swatches. My skin becomes dulland looing aged. What kind of cream will be suitable for shining and young face. Your suggestions in this regard will be apreciated. For glowing skin you need to use chemical exfoliators. Like AHA and BHA. And you can use anti ageing serums and creams. Which ever suits you. I have oily, sensitive, acne prone skin and whenever I try to use scrub it gives me breakouts. And moisturizers make my skin even more oily. I can’t use anything other than cleanser, toner and face masks. Babe , have you tried mattifying moisturizer ? Or once that have tea tree oil in it ? Meant for dry skin? Not tried it. Any recommendations? I have tried tea tree face mask and it does remove all oil and all but after few minutes my face gets even more oily. So I don’t try tea tree products. Tea tree products generally work. 🤔. You can try Plum mattifying great tea moisturizer. Or any good aloevera gel as moisturizer. *plum green tea I meant. You use tea tree oil . It removes all your oil . Your skin thinks they have to produce more oil since it’s not getting moisturized. Hence more oil production. I have a horibble experience of trying out Kama Ayurveda N. Oil on my skin. It gave huge breakouts took forever to get rid of. But I will definitely try Plum moisturizer. Thanks for that. Also today I made diy green tea face mist. Yeah. Plum has very good range for oily skin people. If nothing works , you can apply aloevera gel. Hopefully that will help you. I am using plum green tea face mask (can be used only once weekly.) It has been 3 months but not seen very great results. Still I will try other products. Thanks again. Yes. Or else you can go for DIY masks. Homemade ones. DIy cucumber mask (applying juice on face- minimises pores and makes skin smooth) does well for me and nothing else that i tried works. I am also using Kama Ayurveda Nimrah and it’s not helping either. Umm. Multani mitti or sandalwood face pack? Also , just rub ice on your face at times. It reduces oil production. You can check out my Instagram, there is lot more oily skin packs and moisturizer saved in Skincare Highlights. Sure. I will check your Instagram account. Ice is good too. Yes, I want detailed post about everything for oily skin, skincare steps as well as food to eat. And products recommendations too. I am in my early twenties. Sure. I would make one soon!